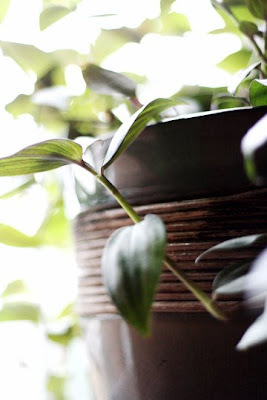 Meet the Wandering Jew plant. There could be more than one, I've honestly lost track. The original Wandering Jew was a plant I gave Shawn for his birthday about 3 or 4 years ago. Since then it has been cut back and divided into many, many plantings. There are clippings of it everywhere. It's planted in with some of the larger trees. The Wandering Jew is one of our many, very, very prolific plants.